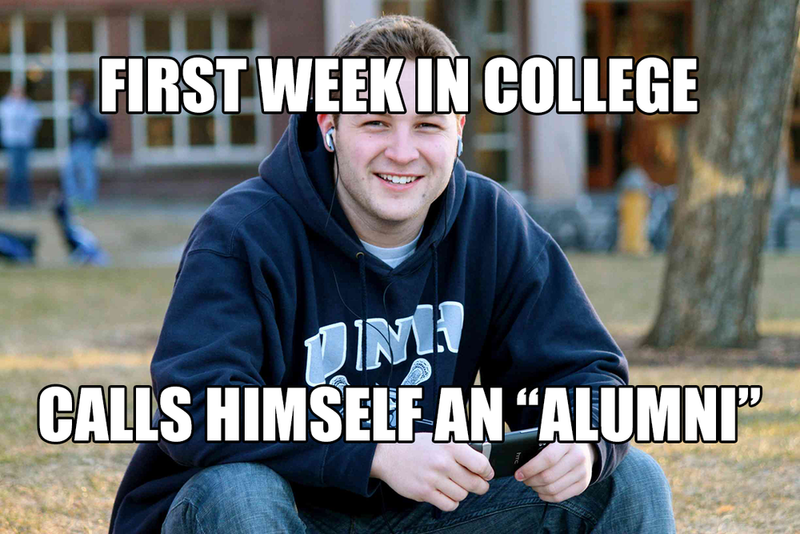 Let’s imagine that you are about to graduate from college. Naturally, you’re excited about buying a license plate frame for your car to express your pride in your alma mater. But don’t rush into buying any license plate frame: make sure that you don’t embarrass yourself and your school by purchasing the wrong one! If Latin isn’t your strong suit, keep reading. The last thing you want to do—besides adorning your car with the wrong license plate frame—is to say, “I’m an alumni of (name of school).” Trust us: the person who hears you utter those words will silently judge you. So far, so good. We’ve taken care of the singular forms. 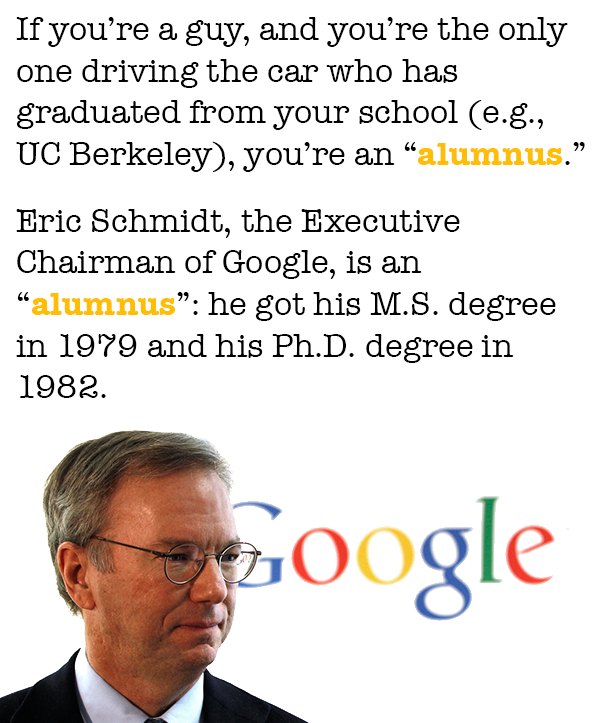 Collectively, Eric Schmidt (@ericschmidt), Alex Morgan (@alexmorgan13), Kate and Laura Mulleavy (@OfficialRodarte), Chris Pine (he abhors social media), and John Cho (@JohnTheCho) are UC Berkeley alumni. 💁🏻‍♂️ If you want to avoid this whole mess (but where’s the fun in not showing off your knowledge), use alum (in place of alumnus and alumna) and alums (in lieu of alumni and alumnae). Just to be safe, don’t do so in formal writing. THE 411 ON "AMOUNT OF" AND "NUMBER OF"